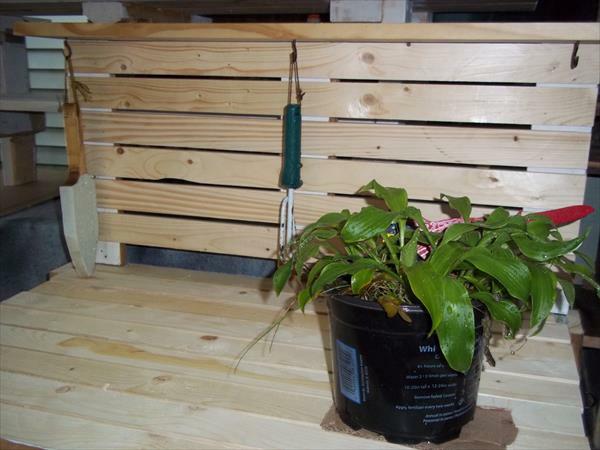 Recycling of pallet wood is getting extremely popular as its list of life changing ideas is growing constantly. 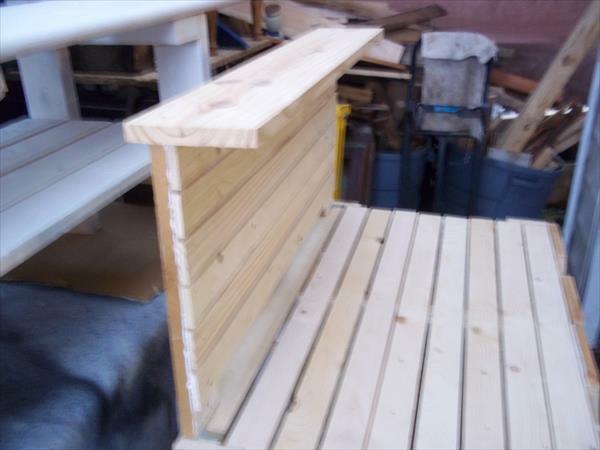 You just need some completely different angles of thinking to make beautified and serviceable additions to your home by making the pallet wood reclaimed. 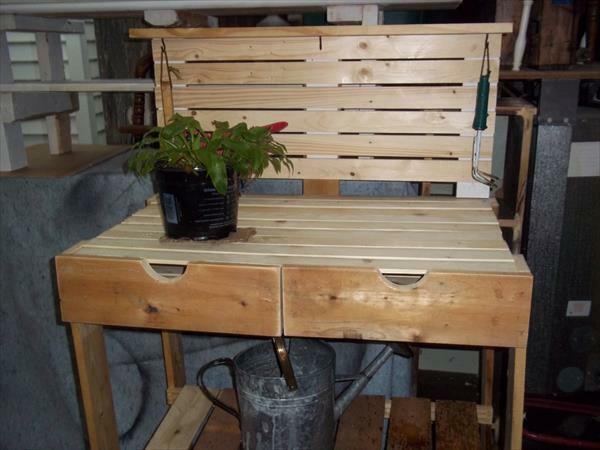 This time we are going to make you amazed with this DIY pallet potting bench project which has totally been made of rustic pallet skids. 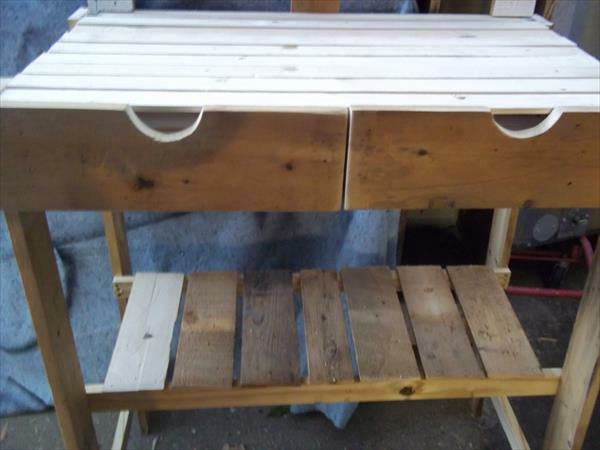 The design has been created gorgeously and can hold a plenty of pots for a natural beauty station out of it. Perfect deck space, a storage shelf panel underneath and two storage drawers are enough to tell about its functionality. You garden tools and equipments can perfectly be organized at underneath panel as it has a wide space to hold a variety of garden concerns. We have also made the top of it hooked so now it would also be easy to hang your garden tools. 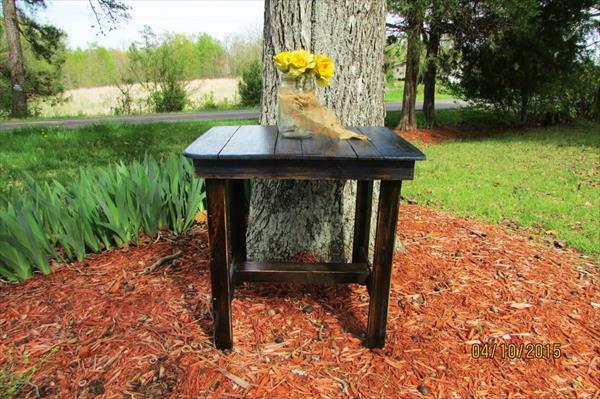 This is just a great pallet wood table to add a vibrant and functional behavior to your garden space.